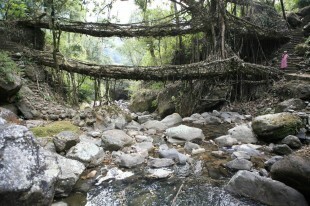 The living structures, some of which stretch over one hundred feet in length, are sturdy enough to support the weight of more than 50 people. 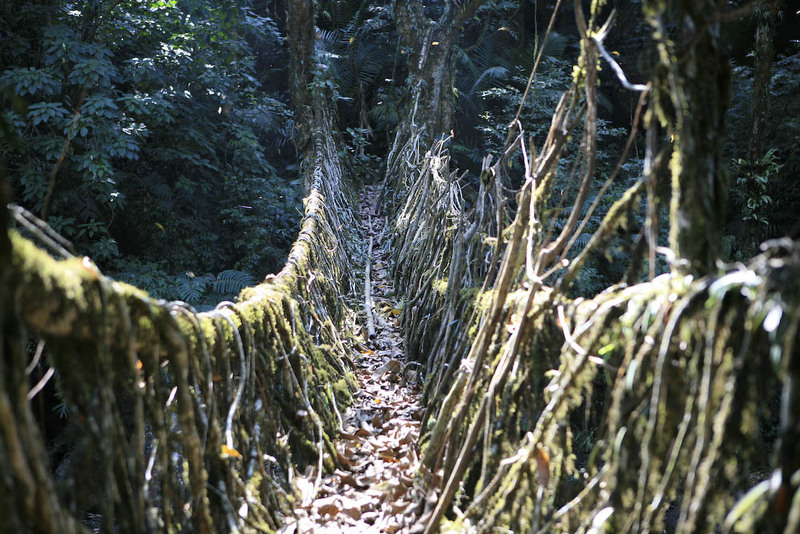 Beyond their utilitarian function, enabling natives to cross distant ridges, the bridges are essentially the roots of a type of rubber tree called ficus elastica. Left unfettered, the roots expand in more unwieldy pattern (hint: they’re definitely not being so accommodating out of their own free will). But at some point roughly 500 years ago, indigenous tribespeople discovered that they could guide the formation of this outgrowth using betel nut trunks as tools. 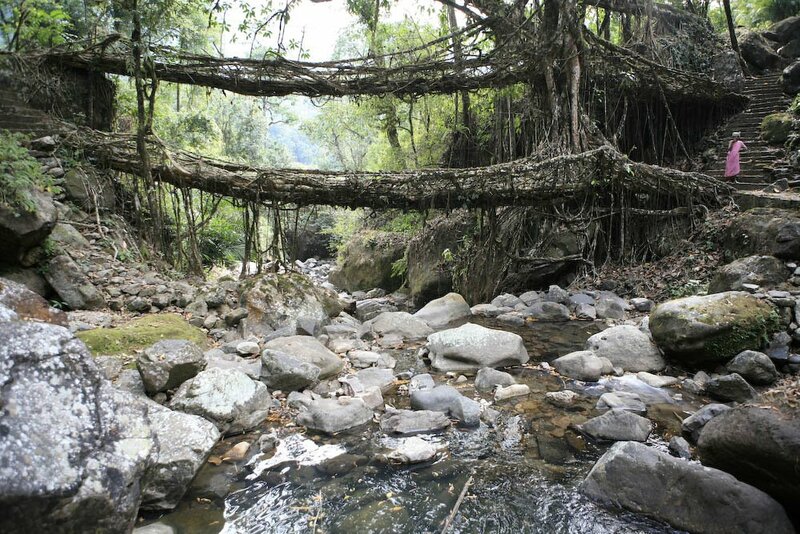 Once the roots reach the opposite bank, they form a stable foundation from which to they continue to grow and strengthen.